Even if we were to accept that the parallels here are stronger and more numerous than they are, parallels do not mean derivation. 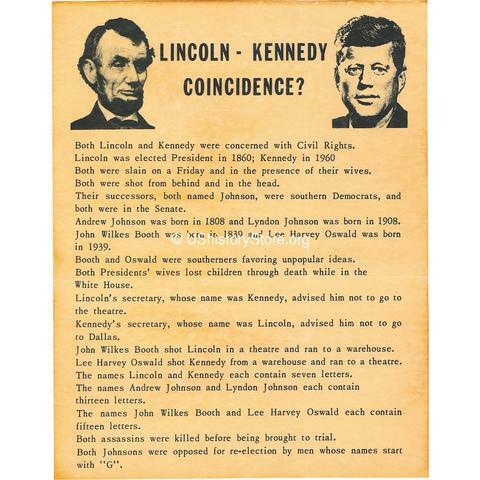 A far stronger set of parallels can be found in the notorious urban legend of the supposedly eerie parallels between Abraham Lincoln and John F. Kennedy (https://en.wikipedia.org/wiki/Lincoln%E2%80%93Kennedy_coincidences_urban_legend), but any future fringe theorist who concluded that, therefore, JFK’s story was derived from that of Lincoln would be laughably wrong. This is why professional scholars are always highly wary of arguments of derivation based on parallels. The danger is that if you go looking for parallels, you will find them. It is always more likely that any parallels that are not artefacts of the process can be better explained as consequences of similar people doing things in similar contexts rather than derivation of one story from the other. of what is scholarly and credible and what is not. later, in 1960, Kennedy was elected president. 2. Both men were deeply involved in civil rights for Negroes. 4. Each wife had lost a son while living at the White House. 5. Both men were killed by a bullet that entered the head from behind. riding in a Lincoln convertible made by the Ford Motor Company. southern Democrats and former senators. exactly one hundred years later. name of Kennedy’s private secretary was Lincoln. 1939, one hundred years later. 11. Both assassins were Southerners who held extremist views. 14. Kennedy from a warehouse and fled to a theater. 15. Lincoln and Kennedy each have seven letters. 16. Andrew Johnson and Lyndon Johnson each has 13 letters. 17. John Wiles Booth and Lee Harvey Oswald each has 15 letters. later creators of the story of Kennedy’s death. the case with the parallels between the two Jesus’. When is a parallel a real parallel and not parallelomania? The question of parallels has been raised in different posts and comments lately on Vridar. Firstly, I questioned Joseph Atwill’s claim that there was a parallel between Jesus calling disciples to become “fishers of men” beside the “sea of Galilee” and a scene in Josephus’ War where Romans kill drowning Judeans in a battle that had spread to a the lake of Galilee. I also took exception to his parallel between the act of cannibalism that Josephus narrates in the same work and the gospel accounts of the Passover. Soon afterwards, I posted about parallels between the Hebrews Bible and certain Hellenistic myths and other literature in relation to the works of Russell Gmirkin and Philippe Wajdenbaum. Further, I posted something by a classicist, Bruce Louden comparing a scenario in the Odyssey with the biblical story of Lot and the destruction of Sodom and Gomorrah, to which I added further details between Greek myths and the Lot story identified by Wajdenbaum. So am I being inconsistent in being critical of one of Atwill’s parallels but posting without critical commentary some of the work by Gmirkin, Wajdenbaum and Louden? And as for Saul in Mizpah, you relate Saul in hiding among the baggage, to Rachel hiding the teraphim in the saddlebag. The Hebrew says merely that Rachel “put” them in the saddle-bag; a nit-picking difference perhaps, but bearing it in mind reveals that, apart from the common place-name Mizpah, (a different Mizpah of course – it’s an extremely common place name in the OT), there isn’t a single verbal correlation between the two passages. Therefore your comment that Saul turns up like “Laban’s long-lost idol” (singular, though Laban’s teraphim were plural), strikes me as nothing other than your own imaginative eisegesis; you have imposed a meaning on the text and thereby constructed a parallel between the two stories that simply isn’t found in either of the texts themselves. The details are indeed very different. But what is it, then, that makes it a “genuine” parallel in the minds of some others? Are we stretching different images almost to breaking point to make them seem somehow, even bizarrely, like one another? Is it reasonable to compare a person hiding in baggage and another person putting an incriminating object in a saddlebag? Thanks to Jim West I was informed of the public availability of a new article by the well-known New Testament scholar John S. Kloppenborg. Kloppenborg, John S. 2017. “Disciplined Exaggeration: The Heuristics of Comparison in Biblical Studies.” Novum Testamentum 59 (4): 390–414. https://doi.org/10.1163/15685365-12341583. I think the article should always be cited whenever reference is made to Samuel Sandmel’s 1962 article warning of the flaws of uncontrolled “parallelomania“. Together they warn against either extreme. By contrast, comparison in the historiography of early Christianity has had a peculiar history: comparisons were often employed either to establish the difference and, indeed, the incommensurability of Christian forms with anything in their environment; or, as Jonathan Z. Smith has observed, comparison was used to create “safe” comparanda such as the construct of “Judaism,” which then served to insulate emerging Christianity from “Hellenistic influence.” . . . . Some readers will be aware of the work of the Jesus Seminar and the publications of John Crossan, Burton Mack and others pointing out similarities to Q and Cynic sayings. And continues to this day, I notice. one wonders what could constitute archaeological evidence of Cynicism: bathtubs? When is a parallel a “real parallel”? I won’t repeat the arguments of Samuel Sandmel here. Too many words. Pictures are easier to read. Not too long ago when I was visiting Indonesia’s island of Lombok I saw the following pair of pictures in the stairway of my hotel and recognized them instantly — yet I had never seen them before. Some scholars, notably Dennis MacDonald, have argued that the Gospels of Mark and Luke as well as Acts contain passages that have “parallels” in the Homeric epics. The presence of these parallels is said to be evidence that the Christian authors were deliberately imitating and even attempting to outdo certain well-known features of the iconic Greek literature. Some critics say MacDonald is just a parallelomaniac and his parallels are “not real”. 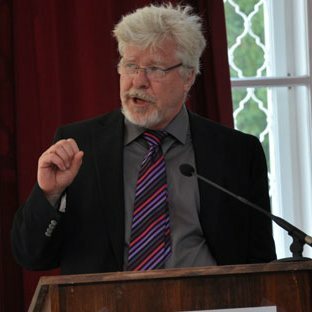 Thomas Brodie has argued that all Gospels and some of Paul’s letters have been deliberately based on various books in the Jewish Scriptures. Michael Goulder and his student John Shelby Spong have argued that the Gospels were written to parallel the sequences of liturgical readings of the Jewish Scriptures throughout the year. Since Brodie has “come out” as a mythicist some scholars have scoffed that he is also a parallelomaniac. D.M. Murdock (Acharya S) and a good number of earlier Christ Myth theorists right back to Dupuis in the eighteenth century have argued that the Gospel narrative is based on an ancient understanding of the astrological/astronomical phenomena. A common criticism is that Murdock’s work is meaningless parallelomania. Dale Allison has argued that many passages in the Gospel of Matthew are parallel to the career of Moses; John Dominic Crossan has found Gospel parallels in Joshua, the poet Virgil and the funeral monument of Augustus; Rikki Watts has found detailed parallels between the Gospel of Mark and the second half of the Book of Isaiah. These scholars are well embedded within the conventional wisdom of scholarly views. Their parallels are more likely to be taken seriously, at least considered valid topics for serious discussion. And on it goes. Probably everyone agrees that there are real parallels between the Passion scene of Christ and the Psalms, Isaiah, Daniel, Amos, Zechariah and others. So what is the difference between legitimate parallels and parallelomania? This post follows on from my earlier one on Chapter 8 where Brodie is beginning to appreciate the nature the literary artistry of the biblical books. Reminder: This series is skipping over many of the personal details related to Thomas Brodie’s intellectual odyssey. It also needs to be kept in mind that generally this book does not present Brodie’s detailed arguments but rather traces how his understanding of the nature and origins of the Biblical literature emerged. If a Jesus narrative were based on the Elijah-Elisha story (see “That Is An Important Thesis“) one had to ask why. Would not the story of Moses or David have been more appropriate as a model? This question perplexed Brodie until his further studies on Genesis opened up a new awareness of the nature of the biblical literature. But let’s digress a moment to consider an objection that has on some theologian’s blogsites recently been flung at Brodie’s arguments since he has claimed they lead to a “mythicist” conclusion. “Parallelomania” has once again been flung as a dismissive epithet by a number of theologians and religion scholars at Christ myth arguments in general and Thomas Brodie’s arguments in particular, so it is worth taking a moment to revisit the article that introduced the notorious notion of “Parallelomania”. It can be read on this Vridar.org page; I have taken excerpts from it in the following discussion. I don’t think James McGrath has ever had the time to read that article that he invites others to read. If he had, he would know that its author (Samuel Sandmel) points out that by “parallelomania” he means plucking passages from the vast array of, say, rabbinical literature or from a work of Philo’s out of their broader contexts and using them (thus decontextualized) to claim they have some direct relevance to similar sounding passages in the New Testament. That is not what what Brodie is doing. Sandmel even explains that the sort of detailed analysis done by Brodie to explore questions of literary indebtedness is indeed justified and is not to be confused with something else that he is addressing. The key word in my essay is extravagance. 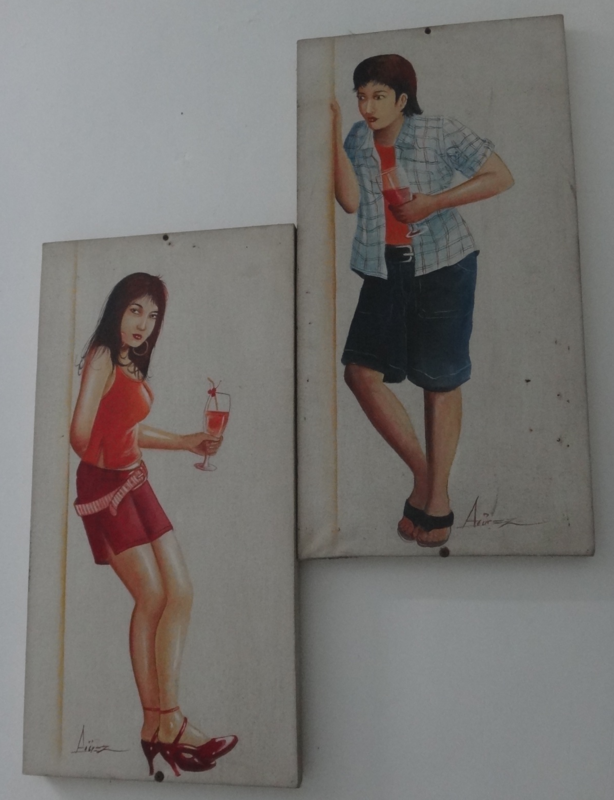 I am not denying that literary parallels and literary influence, in the form of source and derivation, exist. I am not seeking to discourage the study of these parallels, but, especially in the case of the Qumran documents, to encourage them. . . . .
An important consideration is the difference between an abstract position on the one hand and the specific application on the other. . . . . it is in the detailed study rather than in the abstract statement that there can emerge persuasive bases for judgment. . . . . The issue for the student is not the abstraction but the specific. Detailed study is the criterion, and the detailed study ought to respect the context and not be limited to juxtaposing mere excerpts. Two passages may sound the same in splendid isolation from their context, but when seen in context reflect difference rather than similarity. confusing a scrutiny of excerpts with a genuine comprehension of the tone, texture, and import of a literature. In Brodie’s analyses, on the other hand, it is as much the tone, texture and import of the respective documents that is being analysed as the individual words and phrases. the excessive piling up of . . . passages. Nowhere else in scholarly literature is quantity so confused for quality . . . . The mere abundance of so-called parallels is its own distortion . . . . I recently posted chapter 7 of Brodie’s book to demonstrate that Brodie does not make his case by a mere piling up of matching words or ideas. The structure, the theme, the context, the motivation — these are all part of Brodie’s argument. On the one hand, they quote the rabbinic literature endlessly to clarify the NT. Yet even where Jesus and the rabbis seem to say identically the same thing, Strack-Billerbeck manage to demonstrate that what Jesus said was finer and better. . . . . Why, I must ask, pile up the alleged parallels, if the end result is to show a forced, artificial, and untenable distinction even within the admitted parallels? Grant followed many theologians who insist that though the golden rule was known in some form among the rabbis (and in other civilizations), Jesus expressed it better than anyone else. Sandmel’s article on “parallelomania” is actually an endorsement of the sort of work being done by scholars who work seriously on literary analysis of texts and a warning against the sins found too often among the mainstream scholars. 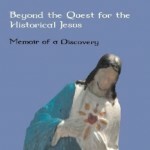 Unfortunately some theologians, McGrath included in his Burial of Jesus, are on record as saying that literary analysis has no place in the work of historical inquiry. On the contrary, without literary analysis the historian has no way of knowing how to interpret literary documents. This is not the same as saying that MacDonald’s and Brodie’s arguments are necessarily correct. They still need to be studied and engaged with. There may be alternative explanations for some of the data they have addressed and believe points to literary borrowing. But it is not particularly scholarly to simply reject an argument one does not like by dismissing it with a pejorative label. One thing bugs me when I read an article by a scholar or student who is attempting to demonstrate that an author like Dennis MacDonald (The Homeric Epics and the Gospel of Mark) has lost his marbles and supposedly proclaims even the “absence of parallels” is evidence of parallels. And that one thing is ignorance (or forgetting) how parallels are known to work in non-biblical literature. The sort of false or erroneous critique I am thinking of goes like this: Since Odysseus loses all hope in a storm at sea while Jesus rises to command the storm to cease, the reactions of the characters are arguably polar opposites so it is ludicrous to imagine there is any sort of parallel here at all. The reason I am not quick to agree with this sort of argument is twofold: (1) the context of other direct parallels is ignored; while at the same time (2) “polar opposites” are indeed by definition connected conceptually, and are known very well in other literatures to be a form of direct “transvaluation” of one character by the simple fact of the new character surpassing the feats or attitudes of an earlier one in the literary tradition. G. N. Knauer demonstrated the rich complexity of the techniques used by Virgil in his imitation of Homer as far back as 1964 (Vergils’ Aeneid and Homer, Greek, Roman and Byzantine Studies, 5, pp. 61-84 — published again with revisions elsewhere in 1984 and 1990). What Knauer discerned in the ways Virgil studied and imitated Homer deserve to be considered in any discussion of possible indebtedness of biblical narrators to non-biblical works.
. . . Aeneas is represented throughout as a hero surpassing his Greek counterpart, Odysseus, who had passed through the same or similar situations shortly before him (in epic time). Odysseus, the victor, destroys Ismaros in Thrace; Aeneas, the exile, . . . founds Ainos in the same region. On his way home to . . . [western] Ithaca, Odysseus is shipwrecked by a storm at Cape Malaia; Aeneas, in spite of a storm, successfully passes this cape on his way west, where in the end he will find . . . home, Hesperia. Here, for the first time, one begins to sense Vergil’s purpose in following Homer. . . . It seems clear that Aeneas, who excelled Odysseus in the first part of the Aeneid, now surpasses the Greeks who had been victorious at Troy. . . . The way in which he completes the divine mission to found a new Troy, that is Rome, elevates him morally far above the Greek heroes. This sort of transvaluation cannot be effected apart from differences in action and character that nonetheless are connected by polar opposition. Aeneas, the exile, builds; Odysseus, the victor, destroys. Odysseus, sailing towards X is shipwrecked at Z; Aeneas, sailing towars his own X, pointedly has smooth sailing. There is much more to the way Virgil “deconstructed” and used Homer. It was far more than just reflecting a few lines of verse here and there. At least as noteworthy as the above transvaluation goal, Virgil had clearly studied the very structure of Homer’s epics and reshaped those structures in his own work. The battles of the Iliad that preceded the wanderings of Odysseus are mirrored at the dramatic conclusion of Virgil’s epic. 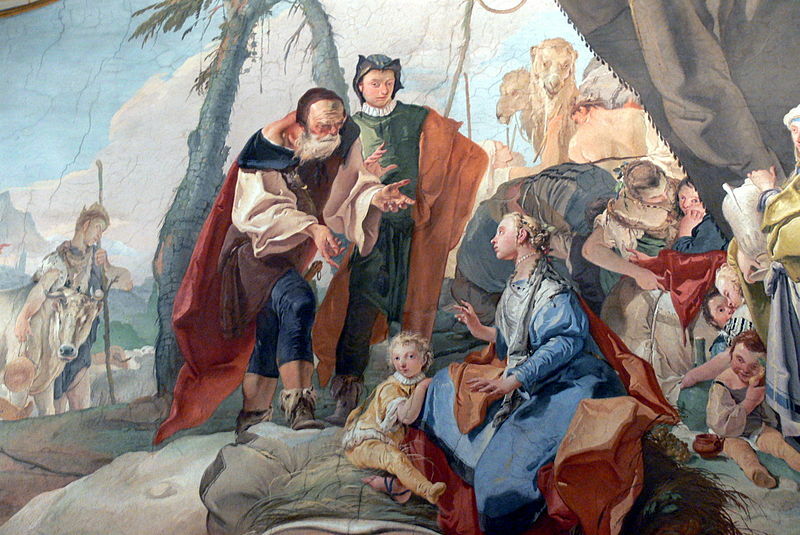 Odysseus is only released from his captivity to the charms of the divine queen Calypso just prior to the moment he is to fulfil his destiny; Aeneas is released from his long captivity to the queen Dido long before he can fulfil his destiny. The differences found between the Aeneid and Homer’s epics do not all indicate absence of contact. Some differences are as distinctly related as strong echoes off opposing walls.